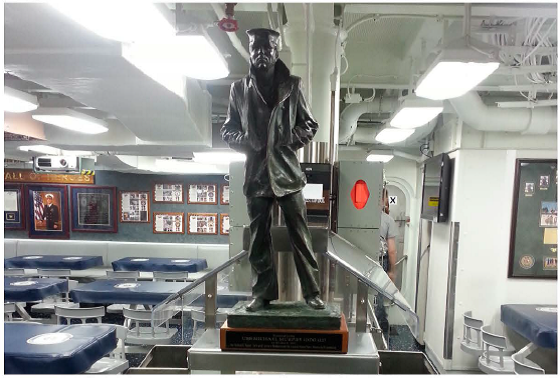 On 10 January 2009, the U.S. Navy Memorial expanded their Lone Sailor Outreach Program by having a twenty two inch tall bronze stature placed aboard the USS George H.W Bush CVN-77 at her commissioning. 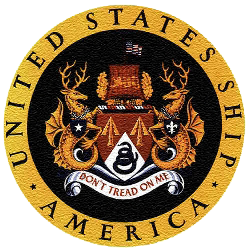 Since then, at all new ship's commissioning, our generous sponsors have contributed funds to install and place our iconic Lone Sailor statue aboard a new U.S. Navy ship, or submarine, at their commissioning. 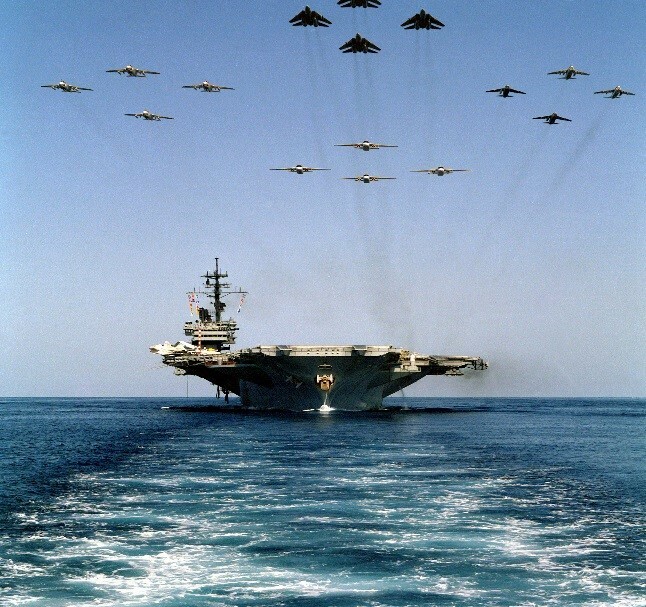 The Captains and crews of these ships have wholeheartedly endorsed and accepted this honor with pleasure. It has become a new commissioning tradition for the Navy Memorial that has fostered great pride in the Officers and Crew of those ships. We invite all Former Crew members of USS America CVA/CV-66, Friends & Family of USS America Carrier Veterans Association to sponsor the placement of a 22" bronze Lone Sailor statue in tribute to all those who served on the revered USS America CVA/CV-66. The statue will be installed aboard the USS America LHA-6 at her commissioning on 11 October 2014 in San Francisco, California. 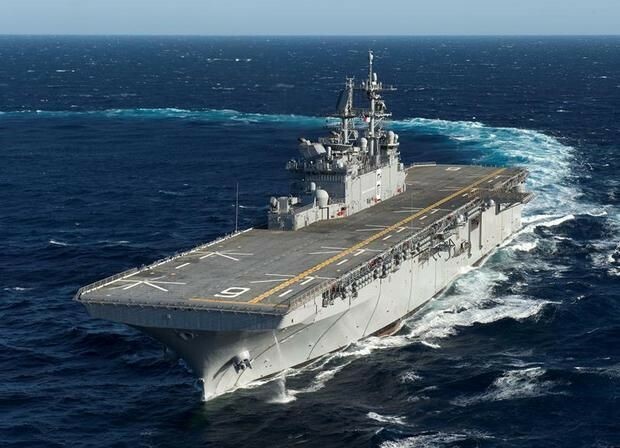 Visit the USS America LHA-6 at her commissioning as a reminder of her rich heredity in carrying the name of our nation around the globe just as her predecessor did from 1965 to 1996. All contributions are tax deductible.